The latest health news and health advice including mental health, diet and fitness, and alternative medicine from well-regarded sources. One of our sources is BBC news health page. Visit their site for more health related information. The other sources is Telegraph health page. Visit their site for more health related information. The other sources is Medical News Today. Visit their site for more health related information. State and local health officials are investigating an outbreak of an unusual strain of salmonella bacteria that has sickened at least 90 people in 19 states and Washington, D.C., the U.S. Centers for Disease Control and Prevention reported Wednesday. No specific food source has been identified, and the CDC is not steering people away from any food or restaurants. 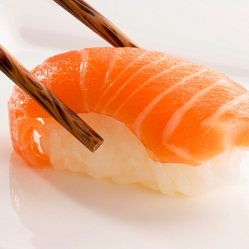 However, "on initial interviews, many of the ill persons reported consuming sushi, sashimi, or similar foods in a variety of locations in the week before becoming ill," the CDC reported in a news release Wednesday. The illnesses -- first reported Jan. 28 and most recently on Monday -- were caused by the strain of Salmonella Bareilly. The CDC has not said which states have suffered the outbreaks. Symptoms of salmonella infection include diarrhea, fever and abdominal cramps 12 to 72 hours after infection. Most people recover within 4 to 7 days without treatment, but some cases are deadly if not treated with antibiotics. The elderly, the very young and people with compromised immune systems are most at risk of a severe illness from salmonella infection. If you suspect you have eaten contaminated food, the CDC recommends contacting your doctor. "CDC will update the public on the progress of this investigation as information becomes available," the agency said. 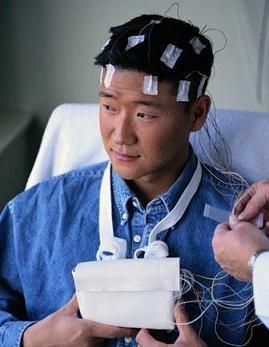 April 5, 2012 -- Can two or more servings of blueberries or strawberries a week help lower risk of Parkinson's disease? Maybe, according to a new study published in Neurology. Men and women who ate berries two or more times a week were nearly 25% less likely to develop Parkinson's disease than their counterparts who had less than one serving per month. Exactly how these fruits may help lower risk is not known, but berries are rich in powerful antioxidants -- known as flavonoids -- which may protect brain cells from damage. Flavonoids are found in fruits and vegetables. When the researchers looked at the data for men and women separately, the real benefit seemed to go to the men, not the women. Overall, men who had the most flavonoids in their diet -- including sources such as berries, tea, apples, and red wine -- were 40% less likely to develop Parkinson's than those who ate the least. Women who ate a high amount of flavonoids were no less likely to develop Parkinson's disease than those who ate the least amount, the study showed. Parkinson's disease is a progressive neurologic disease that occurs when cells in the brain that make dopamine are slowly destroyed. Symptoms include tremors and difficulty with movement and walking. The new study included more than 130,000 men and women. 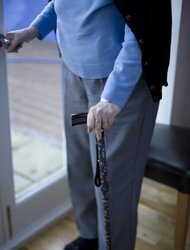 Of these, more than 800 developed Parkinson's disease during 20 years of follow-up. "The main message from this study is that berry fruit is associated with lower risk of Parkinson's disease," says researcher Xiang Gao, MD, PhD. He is an assistant professor of medicine at Harvard Medical School in Boston. Because the study found a link but did not show a cause-effect relationship, the findings need to be confirmed in other studies. Still, there is no downside to eating berries, Gao tells WebMD. "It is not a bad idea to include berries in your diet, as they have other beneficial effects on other diseases." He says future studies may look at whether eating more berries can slow the progression of Parkinson's disease. Roy Alcalay, MD, is an assistant professor of neurology at Columbia University Medical Center in New York City. He says it is too soon to tell people to start snacking on berries to reduce their risk of developing Parkinson's disease. Alcalay is also an advisor for the Parkinson's Disease Foundation. "It is interesting, but needs to be replicated," he says. "It is definitely worth more research." Stuart Isaacson, MD, is excited about the new findings. He is the director of the Parkinson's Disease and Movement Disorders Center of Boca Raton and an associate professor of neurology at Florida International University's Herbert Wertheim College of Medicine in Miami. "This is the first large study to show that people who eat berries and other sources of flavonoids have a lower risk of developing Parkinson's disease," he says. In the past, nicotine and/or caffeine have been linked to lower risk for Parkinson's disease. "This is a more healthful and hopeful alternative." There are lots of good reasons to eat berries, he says. "If you are looking for a healthy, holistic way of reducing your risk of Parkinson's disease because you think you are at higher risk, eating berries might make sense." Whether it is something specific in the berries or a combined effect of the whole food remains to be seen. "It is always better to get your nutrients from a whole food as opposed to individual supplements," he says. Previous research suggests that people with childhood-onset epilepsy have significant mental and developmental problems that continue into adulthood, particularly in those who don't respond to seizure medications. Prior studies also have found that patients with temporal-lobe epilepsy have structural abnormalities in many areas of the brain. But there is limited knowledge about how aging affects these abnormalities. In the study, researchers from the University of Wisconsin-Madison used MRI to examine the brains of 55 patients with chronic temporal-lobe epilepsy and 53 people without epilepsy. The participants were aged 14 to 60. The brain scans revealed that the epilepsy patients had more brain-structure abnormalities than healthy people, and that these abnormalities were more extensive in older epilepsy patients. "Patients with epilepsy are burdened with significant neurodevelopmental challenges due to these cumulative brain abnormalities," Bruce Hermann, professor of neuropsychology at the University of Wisconsin-Madison, said in a news release. "The consequences of these anatomical changes for epilepsy patients as they progress into elder years remain unknown, and further study of the adverse effects in those of older chronological age is needed." The study appears in the journal Epilepsia. April 3, 2012 (Chicago) -- Here's another reason to eat your broccoli and Brussels sprouts (and maybe some bok choy). Women with breast cancer who eat a lot of cruciferous vegetables may be more likely to live longer and less likely to have their cancer come back, a large study suggests. "The more cruciferous vegetables you eat, the better off you are," says researcher Sarah J. Nechuta, MPH, PhD, a postdoctoral research fellow at Vanderbilt University in Nashville, Tenn. 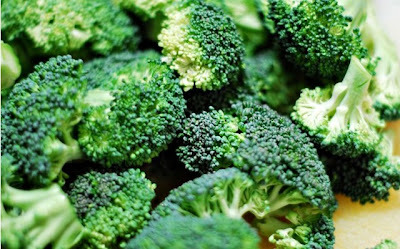 It's easy to get 150 grams of these veggies in your diet, Nechuta tells WebMD. A cup of cooked broccoli, cauliflower, Brussels sprouts, mustard greens, cabbage, and kale all weigh about 150 grams. The study isn't the first to suggest that eating the crunchy vegetables may benefit women with breast cancer. But it's one of the largest. The study involved nearly 5,000 Chinese breast cancer survivors aged 20-75 diagnosed with any stage of breast cancer between 2002 and 2006. They filled out detailed dietary questionnaires when they entered the study and 18 months and 36 months later. Then they were divided into five groups depending on how many cruciferous vegetables they ate. By about five years after diagnosis, women in the top fifth -- who ate an average of about 150 grams of cruciferous veggies a day -- were 42% less likely to have died from breast cancer and 58% less likely to die from any cause compared to women in the bottom fifth, who ate less than 54 grams a day. And the women in the top fifth were also 19% less likely to have their breast cancer come back. Here's why the researchers think the vegetables help. Cruciferous vegetables contain high amounts of compounds called glucosinolates. When eaten, they convert to other compounds called isothiocyanates and indoles that have been shown to have many anti-cancer properties in the lab, Nechuta says. The researchers considered other factors that can affect breast cancer recurrence and survival, including age, stage of cancer, treatments, exercise, and other dietary factors. Still, the study doesn't prove that cruciferous vegetables made all the difference. Women who eat a lot of cruciferous vegetables might have other advantages that weren't measured, or a healthier lifestyle overall, says Aditya Bardia, MD, a cancer specialist at Massachusetts General Hospital in Boston. Another consideration: The Asian diet is quite different from the American diet. Commonly eaten cruciferous vegetables in China include turnips, Chinese cabbage/bok choy and greens, while broccoli and Brussels sprouts are the more commonly eaten cruciferous vegetables in the United States and other Western countries, Nechuta says. Also, Asians tend to eat more vegetables overall, compared to Americans, she says. Further study is needed to determine if the cancer-fighting compounds behave differently depending on the amount and type of cruciferous vegetables eaten, Nechuta says. There will be about 290,000 new cases of breast cancer in the U.S. in 2012, and nearly 40,000 women will die from the disease, according to the American Cancer Society. SOURCES: American Association for Cancer Research Meeting 2012, Chicago, March 31-April 4, 2012. Sarah J. Nechuta, MPH, PhD, postdoctoral research fellow, Vanderbilt University, Nashville, Tenn. Aditya Bardia, MD, attending physician, Massachusetts General Hospital Cancer Center, Boston. What is it? Monofin swimming has been making waves in fitness since the 1970s. This one is for all speed fiends and fans of boardsports. As its name suggests, this aquatic sport involves a single flipper for both legs. • They begin with 45 minutes of warm-ups, specifically designed for this sport, on the ground. This is all about strengthening muscle through concentrating on legs, bums and tums. • The rest of the session gets you in the water with traditional flippers in order to train your legs, then you’ll trade these for a monofin. Feeling like a mermaid is guaranteed, except it’ll be a physical experience as well. Essentially, this sport works on your buttocks, abdomen and lumbar vertebrae. Legs are the star of the show as your arms do very little and are held up with hands pressed together. Objective: wiggling your body to create a sinusoidal wave. The movements: With each wave of the flipper, pull your stomach in and try to lengthen your body. Engaging the abdominal muscles and getting a corseting effect is very simple: just try to flatten your navel against your spinal column. This muscle strengthening exercise is highly effective. What is it? This is a fun and playful new fitness activity co-created by Reebok and Cirque du Soleil, using the Jukari Band, a new generation of resistance bands. How? The exercise class has been designed around dynamic exercises based on fluid movements with the Jukari Band with the aim of creating a visual display. And the star of the show? You! A graceful circus acrobat with the resistance band which revolutionises the old exercise band of our tums and bums classes. Each position will reinforce your shoulder span and abdomen, tone your oblique muscles and improve your pelvic mobility in turn, all in a very elegant way (once you’ve mastered the Jukari band). This is ideal for lengthening and sculpting your figure, while being really creative too. The class is like being in circus school! Everything is fluid in this type of exercise, including the duration of the class which lasts between 30 minutes and an hour. What is it? A new aquatic activity which you carry out on a treadmill in a swimming pool. For a perfectly toned body, you mix fast walking and running whilst in the water. How? Immersed half way up your chest in the pool, you explore different exercise combinations on a treadmill. Up until now, there is nothing new, except that the treadmill mentioned is made up of 308 rotating cylinders. This little detail is not insignificant. Their rotation responds to the power of your pins and the determination of your stride, taking into account water resistance, another thing which will sculpt your body. In a pool heated to 30 to 32°C, the class involves running or gliding exercises, based on the movement of a ski sidestep. How is it different to a treadmill in a room? You get the benefits of hydromassage. The resistance of the water makes the exercise more difficult and exerts a strong draining pressure for a slimming effect. Ultimately, you tone up your buttocks, sculpt your legs, develop your endurance or simply burn off calories. The classes last around 40 minutes, involving a very targeted cycle of training. Where? In aquatic sports centres, Ragdale Hall health spa or visit aquagym.co.uk to find local gyms. What is it? Invented in 2003 by a commando in the US Navy in order to keep his team fighting fit during missions, this style of “suspended” exercise forms part of an intense style of physical training. How? TRX is based on the idea of a dynamic workout, and combines the effort involved in supporting your body weight with using the resistance of handles suspended above you. This technique, borrowed from the commandos, enables you to work effectively on muscle groups by using only your body weight, without any additional weights. Deep muscles are also engaged, thanks to the action of gravity on the body. A no brainer, and at no cost, this exercise is unique in its simplicity! What everyone is now calling the New Nordic Diet is in fact the same regime as the one designed as part of a Danish research project called OPUS. Its aim was to observe the effects of Scandinavian eating on the health, development and wellbeing of Danish school children. This diet is not so new as it is based on the traditional diet of Nordic countries (Denmark, Sweden, Norway and Finland) which principally consists of food stuffs originating in Scandinavia. This cuisine is known for being healthy, as well as being good for general wellbeing, environmentally sound and in line with the principles of sustainable agriculture.The Nordic Diet is not a diet regime in the sense of a slimming plan. It is more a different way of eating, a lifestyle choice. The Viking Diet is mostly made up of Scandinavian produce. But it isn’t that hard to find these items in your supermarket and adapt your recipes to suit. Fish (herring, shrimp...) is at the heart of Nordic cuisine, and yet, the way fish is cultivated for commercial purposes is responsible for certain levels of pollution (notably mercury). The question of toxicity is therefore an issue. What should you do to make sure your diet doesn’t become a danger to your health? By consuming 300g of fish a week and paying attention to where your fish comes from and how it was cultivated. “Mercury becomes a particular problem when you eat big, old or carnivorous fish” explains Claude Mona, from the University of Copenhagen. In fact, you should be varying the types of fish you eat (oily fish, white fish or between the two), since the supply of vitamins, minerals and fatty acids varies between species. The Nordic Diet encourages us to eat in a more responsible way. In fact, its precepts are based on the idea of local produce, food that is in season and maximum use of organic products. This way of living and eating should encourage producers to use more considered methods of cultivation. With the Nordic Diet, the oven takes centre stage. Far from boycotting commercial food products, this style of eating just encourages you to cook more and limit the number of pre-prepared dishes you buy. The best way of being sure of what is going on your plate, is to cook it yourself! This is where it becomes important to cook and prepare fresh, local produce. A study was carried out over twelve months on 57,053 Danish volunteers aged from 50 to 64. The objective was to establish a nutritional index for the health benefits of the Scandinavian diet. The conclusions confirmed the initial hypothesis, and the study proved that a diet modelled on the Nordic style of eating was linked to a decrease in mortality rate for average-aged Danes, especially for men. The basic diet observed during the course of this study was composed of fish, cabbage, rye bread, flour, apples and pears, and root vegetables (beetroot). 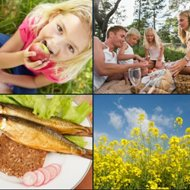 Extract from the study “Healthy Aspects of the Nordic Diet Are Related to Lower Total Mortality”, available online here. You shouldn’t pin all your hopes on the Nordic Diet for a spectacular weight loss in just a few days. It is not about a miracle diet, but a balanced and varied way of eating which you can adopt in your daily life. Your figure will feel the effects of this improved diet, but over the long term. Claude Mona, from Arne Astrup’s office in Copenhagen where he is working on the project OPUS, explains that “the first provisional results suggest that the New Nordic Diet will help with weight loss. These initial findings indicate more considerable weight loss among volunteers who followed the New Nordic Diet when compared to those continuing with their normal diet.” The results on the effects of the New Nordic Diet on obesity will not be revealed officially until the end of the study in 2013. Half of premature babies of 27 and 28 weeks gestation are now born in a specialist unit due to improvements in management of care, new research suggests. However, researchers said there has also been an increase over the last decade in the proportion of babies needing transfer to another hospital in the first 24 hours or month after delivery. A third of babies who are part of twins or triplets are also treated in separate units, highlighting problems with the number of cots available, they added. The research, published online in the British Medical Journal, looked at maternity units in England, Wales and Northern Ireland between 1998 and 2000 and units in England between 2009 and 2010. Overall, the number of babies delivered in specialist units rose from 18% to 49% in England between the two periods. Survival was significantly higher in the latter period in England, rising from 88% to 94%. The authors, from Imperial College London, said: "As the prognosis for very pre-term babies is improved when they are born and have their initial care in highly specialist centres, the change in place of delivery we document represents an important improvement." Nevertheless, there was an increase from 7% to 12% in the proportion of babies needing transfer to another hospital in the first 24 hours after birth, which has been shown negatively to affect outcomes for the baby. The proportion of babies needing transfer between 24 hours and 28 days after birth also rose from 18% to 22%. The researchers said: "The proportion of pre-term babies transferred within the first 24 hours has increased; in almost a third of cases this is to a neonatal unit providing an equivalent or lower level of specialist care, and babies from multiple births continue to be separated, indicating continuing inadequacies in cot capacity." The pressures of school life are forcing many teachers to visit the doctor and take time off sick, a survey has suggested. An increasing workload, long hours and inspections are damaging teachers' health, according to a poll by the Association of Teachers and Lecturers (ATL). It found that a quarter of those questioned (25%) said their current job had led to them taking sick leave from work, while two in five (40%) had visited the doctor. Three in five (60%) of the school staff questioned said they had thought about changing jobs, while a similar proportion (58%) admitted they had considered leaving the profession. One further education tutor in South Yorkshire told the survey: "I suffered a nervous breakdown due to pressures within work and was off for six months. Unfortunately the workload pressure and the over-critical atmosphere has not altered. All staff are jumpy and waiting for the next put-down." And a primary school teacher from Manchester said: "I would like to go to the GP but I am worried about taking time off due to the lack of empathy from senior staff on my return." The poll questioned nearly 1,300 people working in state and private schools and colleges in the UK. It comes as ATL is expected to debate a motion at its annual conference in Manchester on the effects of heavy workloads. ATL's poll reveals that nearly three quarters (73%) of those surveyed said their job is having a negative effect on their health and well-being, while 64% said it is damaging their professional abilities and 62% said it is affecting their relationships with family and friends. Asked specifically what it was in their job that was causing problems, the most common answer was workload, chosen by 84%, followed by long hours (69%), pressure of inspections (47%) and meeting targets (43%). Nearly eight in 10 (79%) said their workload has increased in the last two years. ATL general secretary Dr Mary Bousted said: "The demands and pressures on those working in schools and colleges is escalating. It is not surprising that so many teachers and lecturers are considering leaving the profession and it is particularly concerning that so many newly qualified teachers are unhappy." There is no evidence that metal-on-metal hip implants increase the risk of cancer although longer-term studies are needed, experts have said. A new analysis of almost 41,000 patients found no link between the controversial implants and the disease in the seven years following surgery. Cancer is just one of the fears linked to the implants, which have prompted close monitoring of all patients following high failure rates. Tiny metal ions made up of cobalt and chromium are thought to break off from the implants and leak into the blood, with fears this leads to muscle and bone damage and neurological issues. The data, based on the National Joint Registry of England and Wales, follows advice issued on Tuesday that said surgeons should stop using one particular type of total hip implant. Evidence shows the implant has a revision rate of 10.7% just four years after initial surgery which is "unacceptably high", the Medicines and Healthcare products Regulatory Agency said. The research, published online in the British Medical Journal, is based on 40,576 patients with metal-on-metal hip implants and 248,995 who have other types, linked to hospital data. The experts, from the Universities of Bristol and Exeter, found no evidence of an increased risk of any type of cancer in people with implants compared with the general population. However, they said "as some cancers have a long latency period it is important that we study the longer term outcomes and continue to investigate the effects of exposure to orthopaedic metals". Last month experts writing in The Lancet medical journal called for all metal-on-metal implants to be banned due to evidence of high revision rates. SAN FRANCISCO (Reuters) - Medical marijuana advocates on Tuesday vowed to reopen a San Francisco-area college devoted to cannabis cultivation and known as the "Princeton of Pot" a day after federal agents shut down the school in a raid. Hundreds of protesters rallied in front of San Francisco's City Hall, some on crutches and in wheelchairs and smoking hand-rolled joints. The demonstrators carried signs that said, "Cannabis is medicine; let states regulate" and chanting "Feds off my meds." Monday's raid on Oaksterdam University, which offers courses on growing and dispensing of marijuana, turned the Oakland-based school into the latest flashpoint between federal law enforcement and medical cannabis advocates in states where pot has been decriminalized for medicinal purposes. Federal authorities also searched the home of veteran medical marijuana activist and Oaksterdam founder Richard Lee, as well as a nearby medical marijuana dispensary he runs. Lee, confined to a wheelchair by a spinal injury, was a leading proponent behind a failed California ballot initiative in 2010 that would have legalized possession and cultivation of small amounts of marijuana in the state for recreational use. "In a wheelchair, he's a threat," Wayne Justmann, an adviser for medical pot supply shops, said facetiously as he spoke to Reuters at the rally. "He's a guy who's helped so many people." Rather than targeting Lee, Justmann added, "Go after that guy who killed seven and injured three." He was referring to the former student of a private, Christian college who killed seven people and wounded three others in a shooting rampage on Monday. Lee himself said he worried that he might be prosecuted. "They can indict me any day," he said, recounting how he was awakened by federal agents armed with assault rifles appearing at his Oakland apartment with a search warrant. "They can arrest me any day." Agents briefly detained but did not arrest Lee. The school was closed after agents searched it, but it will reopen Wednesday, Lee's lawyer, Laurence Jeffrey Lichter said. Although marijuana remains classified as an illegal narcotic under federal law, 16 states and the District of Columbia have enacted some sort of legalized medical-cannabis statutes, according to the Drug Policy Alliance. In those states, including California, the U.S. government has sought in recent months to shut down storefront dispensaries and greenhouses deemed by federal investigators to be drug-trafficking fronts, as well as those that are located close to schools and parks. The Obama administration has said it would not single out individual patients who possess or grow their own marijuana in states with medical pot statutes. But federal prosecutors have warned they will continue to go after operations that support for-profit, illegal drug dealing under the guise of medical pot. Federal action has led to dozens of medical marijuana dispensaries being shut down in California, but so far no one has been charged with criminal activity in connection with the crackdown, Lichter said. Oaksterdam, widely referred to as the "Harvard of Hemp" and the "Princeton of Pot," opened in 2007 and bills itself as the first cannabis college in the United States. "Two universities were struck yesterday," said Dale Sky Jones, executive director of Oaksterdam, referring to Monday's raid on her school at the same time a gunman opened fire at the nearby Oikos University. "Federal resources are wasted on failed policy while our cities beg for help with gun violence." Any musician will tell you, making music is their passion. But for 22-year-old Megan Coiley, her drive to become a virtuoso almost ended her career. Coiley started playing piano when she was just 3 years old and by the time she was 14, she began having pain in her hands. "I saw an orthopedist, I saw two neurologists, I saw a physician, regular physician, I saw a couple physical therapists, but none of them were really very helpful," Coiley said. Over the next three years, her condition worsened, and she had difficulty with everyday tasks. Coiley was diagnosed with dystonia, a movement disorder that causes involuntary contractions of the muscles. So she turned to the Golandsky Institute in New York City. 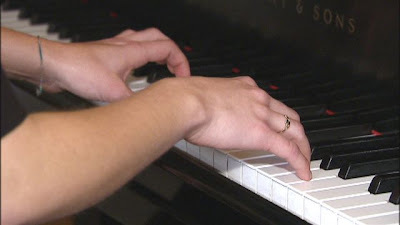 Artistic director Edna Golandsky, has been teaching the Taubman approach for 40 years, which is a technique that corrects hand injuries and helps musicians avoid further injury. "They come from certain movements that we make that we are taught to do.. such as curling the fingers, stretching them, putting them on the piano and lifting them one finger at a time, supposedly to strengthen them," Golandsky said. When Coiley had her first lesson with Golandsky, she could barely move her hands. "At first, we couldn't go to the piano because I had fists,” Coiley said. “So we worked on some simple things like turning a doorknob and using the same motions I would eventually be using at the piano." "The Taubman approach has to do with possessing the knowledge of how to play tension free,” Golandsky said. “How to play without discomfort and how to play without pain and how to not get injured." In just two lessons, Coiley felt relief, and three months later, she had full use of her hands. Now she's applying to college for music, where she hopes to teach others. "Nothing is wrong with you, because very often musicians are told something is wrong, its all in your head. It's not in your head, it's in your hands, and anyone can correct it," she said. An international team led by the UK's University of Edinburgh and King's College London, and Columbia University in New York, has for the first time made living human motor neurones that feature key properties of MND/ALS. They made the diseased nerve cells using stem cells derived from adult skin. Having such a laboratory model of a disease to hand vastly improves the speed with which potential new drugs can be screened, and helps expand understanding of the disease. Programme leader Dr Siddharthan Chandran, Professor of Neurology at the University of Edinburgh, and colleagues, write about this key milestone in the 26 March online, ahead of print, issue of PNAS. "Using patient stem cells to model MND in a dish offers untold possibilities for how we study the cause of this terrible disease as well as accelerating drug discovery by providing a cost effective way to test many thousands of potential treatments." 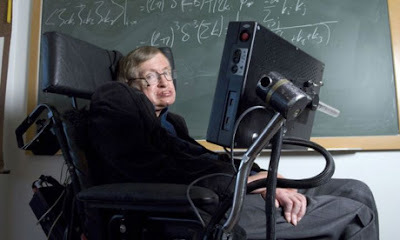 Motor Neuron Disease (MND) is a term that covers several different conditions distinguished by the premature degeneration of motor nerves (called neurones or neurons). As the disease progresses, it causes weakness and wasting of muscles, leading to gradual loss of mobility in arms and legs, and difficulties with speech, swallowing and breathing. There are four main types of MND, each affecting people in different ways. The most common form is ALS, which is characterised by weakness and wasting in the limbs. Average life expectancy for ALS is from two to five years from onset of symptoms, although there are rare examples of people with ALS living much longer than this, perhaps the most famous being the 70-year-old British theoretical physicist Stephen Hawking who was diagnosed in his early 20s. A rare, inherited form of MND is caused by a mutation in the TDP-43 gene (the mutation is known as M337V). Although the mutation itself is rare, the protein that the gene codes for plays a key role in the majority of MND cases. For their study, Chandran and colleagues took skin cells from a 56-year male donor with the rare form of the TDP-43 gene, and using a cocktail of chemicals, "reprogrammed" them to become first stem cells (induced pluripotent stem cells or iPSCs, not unlike the ones derived from embryos), and then motor neurones. The motor neurones with the abnormal TDP-43 were different to motor neurones made from skin cells of healthy people in several distinct and important features. For instance, they did not live as long and they were more vulnerable to damage. The researchers also found that the protein from the faulty TDP-43 gene had a greater tendency to aggregrate and form clumps. This "misaccumulation" is a hallmark of diseased neurones in MND and offers scientists the first ever opportunity to observe directly the effect of abnormal TDP-43 on living human cells. In a statement, the MND Association, describes the study as "proof of principle" that skin cells can be successfully converted into diseased motor neurones and a significant milestone in the £800,000 programme, whose aim is to produce a robust human cell model of MND that faithfully reflects the cellular events happening in the patient, and can be used by scientists around the world. Dr Brian Dickie, director of research development at the MND Association, said the achievement was also "testament to the importance of international collaboration, with eminent scientists from leading institutions around the world focused on the common goal of understanding and, ultimately, defeating this devastating disease".